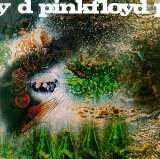 A Saucerful... also marked the end for Barrett as a member, chief songwriter, lead guitarist and de facto leader of the band. Barrett’s mental affairs were unraveling rapidly in late 1967, smack in the early stages of the recording sessions at EMI Studios on Abbey Road in London. In January 1968, David Gilmour was recruited to provide stability at lead guitar as Barrett faded away. Syd was out forever in March and his only written credit on A Saucerful… was the trippy, upbeat “Jugband Blues.” Taking control of the proceedings and the band’s direction, Roger Waters and Richard Wright (with obvious support from Gilmour and drummer Nick Mason), delivered lighter pop-psychedelic classics (“See Saw” and “Remember A Day” are baroque-poppers with a pastoral bend) and contrasting longer space-psych forays in “Let There Be More Light,” the title track and “Set The Controls For The Heart Of The Sun” (widely considered the aboriginal space-rock track).